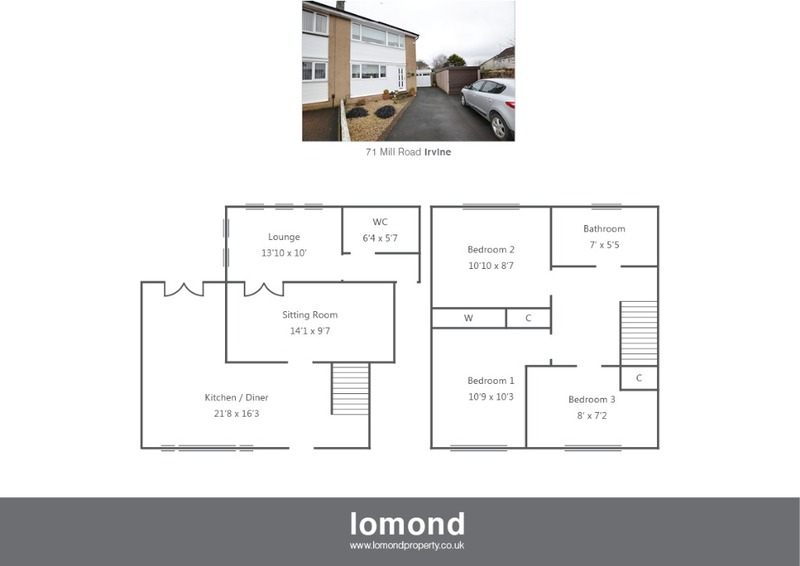 Situated within a quiet cul de sac, 71 Mill Road is a semi detached villa offering excellent family sized accommodation over two levels. The property has been extended to create a wealth of living space, with lounge, sitting room, and open plan kitchen/diner. The upper levels houses three bedrooms, and a family bathroom. Externally the property has off street parking, with easily maintained south facing gardens. In summary the property layout extends to front door entry, taking you to the stunning open plan kitchen/diner. The kitchen comes well stocked with floor and wall mounted units, integrated dishwasher, microwave, wine cooler, gas hob, oven and hood. Access to the rear garden can be gained via the French doors off the kitchen. The living space has been extended to create a lounge area with bi fold doors to the rear garden, and a separate more relaxed sitting area, with office space.A downstairs shower room with WC completes the ground floor. The upper level houses three bedrooms, two of which are doubles, and a family bathroom. Bedroom 1 & 2 feature fitted cupboard space. The family bathroom is well presented with bath, electric over shower, WC and WHB. Externally the property is located on a large corner plot, with off street parking, garage, and south facing rear gardens. Mill Road is an established and popular residential area. Irvine town is close by and provides access to a range of amenities including supermarkets, bars, restaurants and town centre shopping. There are a number of local primary and secondary schools within the greater Irvine area.